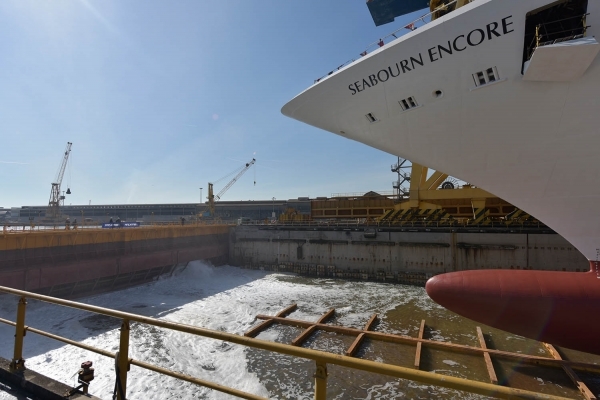 The Seabourn Encore, the first of two new ships that Fincantieri is building for Seabourn Cruise Line, was launched today at the Marghera shipyard (Venice). 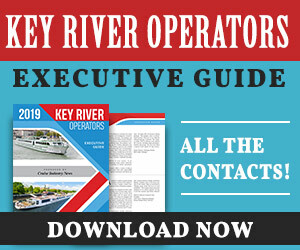 The all-suite ship is approximately 41,000 gross tons, 210 metres long and 28 metres wide and will be able to reach a cruising speed of 18.6 knots. It will carry up to 600 guests, based on double occupancy. Every suite will feature a private veranda. Fincantieri has built 70 cruise ships since 1990 (of which 47 from 2002), and other 14 ships are currently being designed or built in the Group's yards.